What can I say that hasn’t been said. To avoid the common lusty language, let me say that I do not eat desserts that often. “Oh, I’ll just have one or two bites..” Which leads to me eating at least four or five. In exchange for a recipe and a few words, I was happy to welcome these luscious chocolate drops into my Mississippi home. The weather is a bit warm here, already. 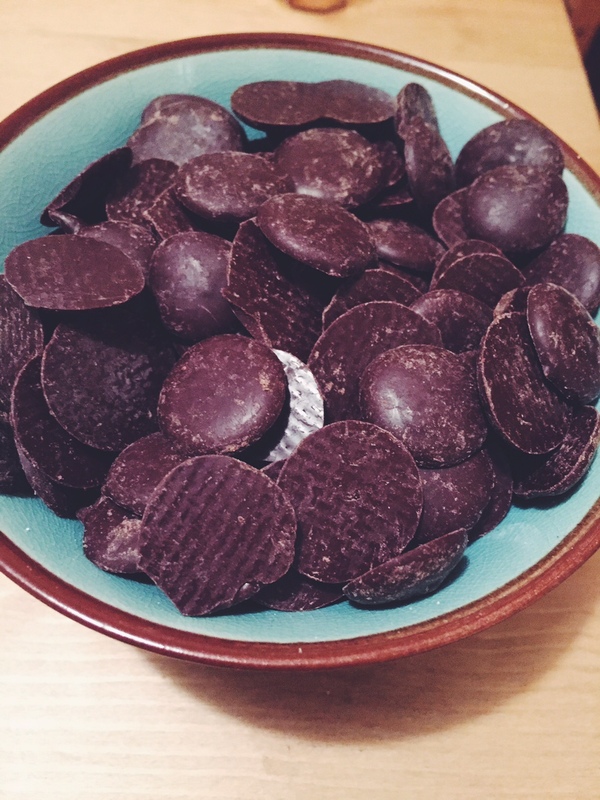 But I wanted to make something that would showcase the chocolate more than anything. Sipping chocolate. This isn’t something I often do, as it is rich but so deeply satisfying. Bring your milk and cream up to steam on a low flame. You don’t want to scald the milk or simmer it, just enough till you see wisps of steam. 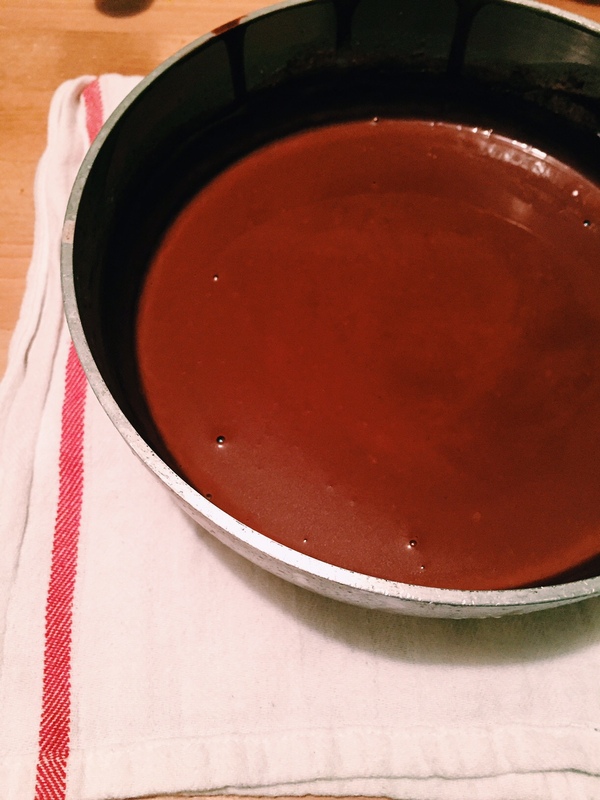 This is when you add your chocolate, salt, sugar and *optional* cayenne. Whisk continuously until it is all dissolved and luscious looking. 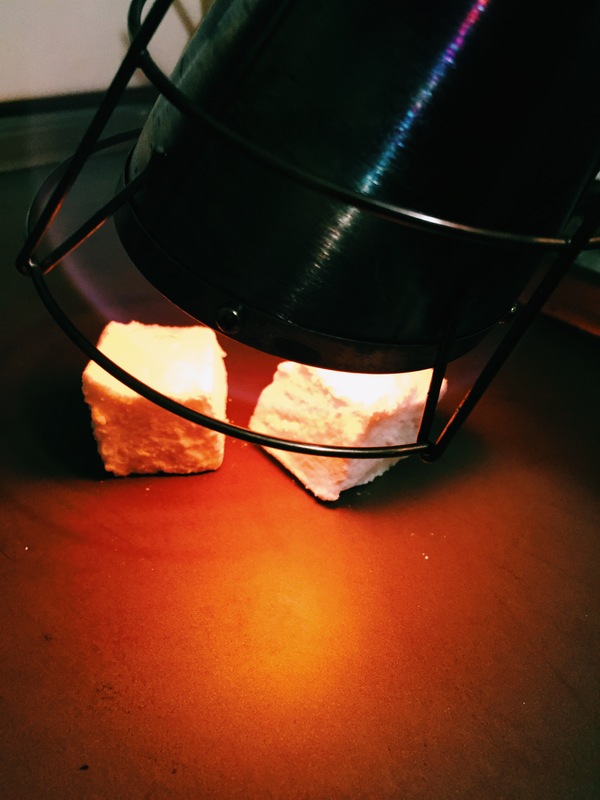 Since I got the wild idea to make marshmallows, I decided to use my new sweet blow torch attachment (also known as a Searzall), to add a little char. I don’t really have to tell you that it came out amazing. It was so simple and delicious and rich. You could get at least six 3oz. servings out of this recipe. So call up some friends. 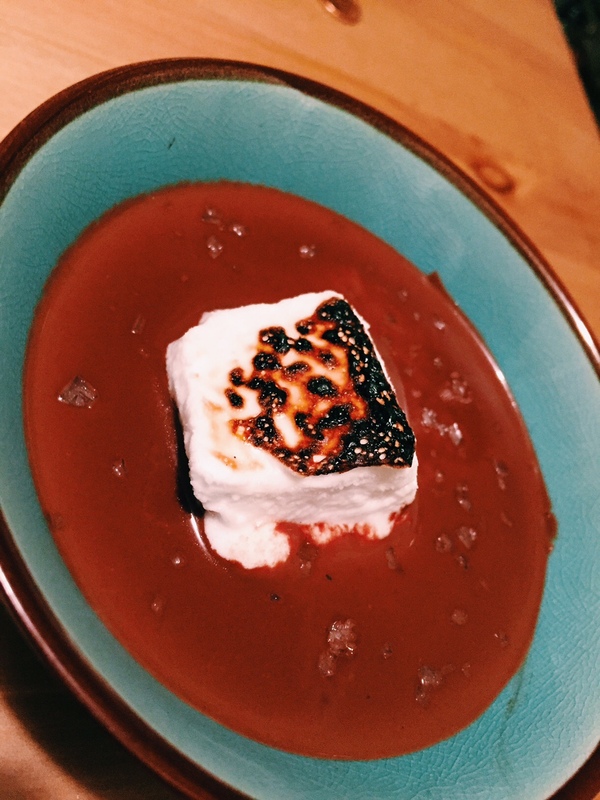 Melt some chocolate, toast some marshmallows and bliss out for a while. 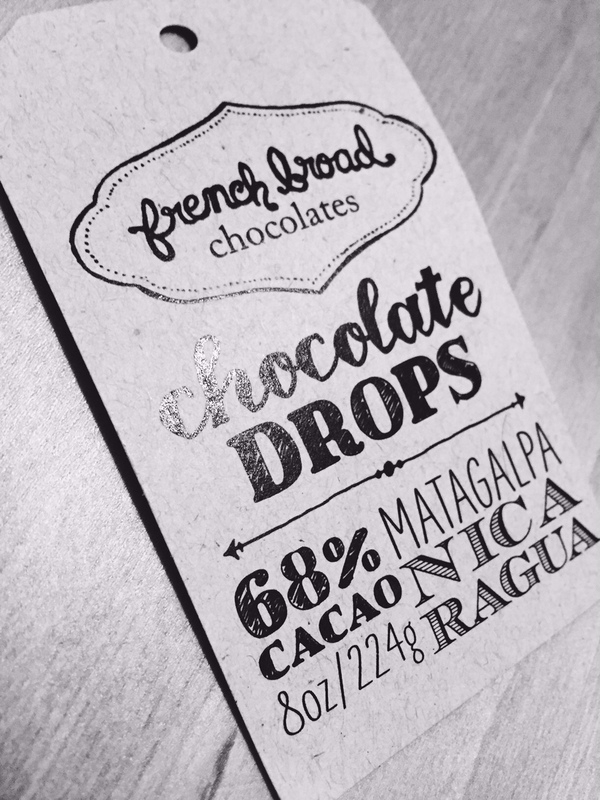 Thank you to my friends over at French Broad Chocolates in Asheville, North Carolina. It was such a pleasure to work with your product and I believe you are making the world a better place. Next time I’m up your way, I’d love to pop in, say hello, and maybe poke my head around your kitchen. OMG, that looks like a freaken bowl of deliciousness!